Why should you go to LA? Hmm, I don’t know. Perhaps the perfect sun-meets breeze climate, collection of hip and weird neighbourhoods, star-spotting, huge varieties of dining and shopping options and a super laid back, chilled vibe might sway you. Yeah, why would you go to LA eh? Anytime really – the high season is March/April, but September/October is a brilliant time to visit as the weather is amazing and it’s quieter. Halloween in LA is also all kinds of awesome and weird – take a trip to Halloween Town – two giant Halloween-themed stores in Burbank and stock up. 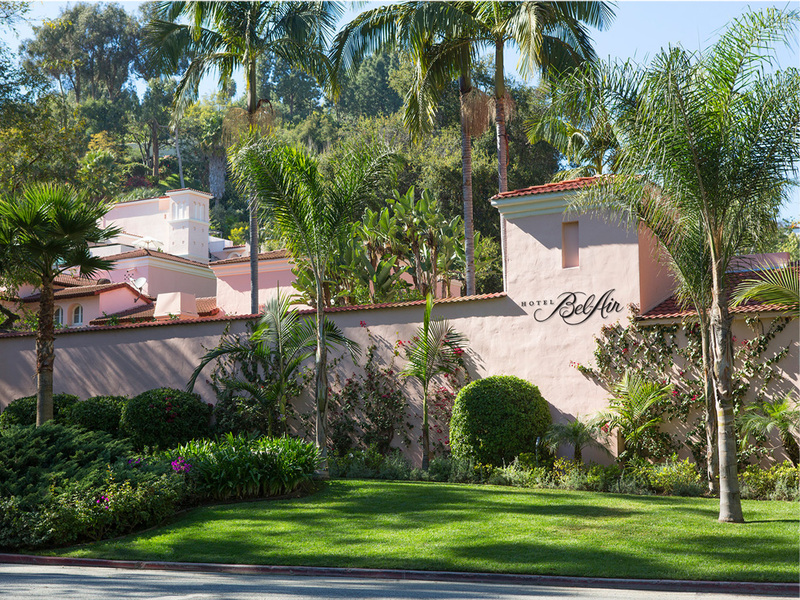 Go big – stay at The Hotel Bel-Air. Located in Fresh prince territory, this super-exclusive (it’s one of the Dorchester Collection) hotel had a huge refurb a couple of years ago and it’s in-credible. It’s tucked away in the sprawling hills of Bel-Air and feels a million miles away from the busyness of LA and nearby Beverly Hills. As you walk over the bridge you literally feel like you’re in a secret hideway. The elegant suites have everything you’d ever need (and hands down comfiest bed ever) and exceptional room service. In fact the food here (by Wolfgang Puck) is a huge draw and was probably has the best breakfast I’ve ever had. Go for huervos rancheros or the incredible French toast with a freshly pressed juice, take a paper and chill in the sun – you’ll never feel more like you’re on holiday. In the evening there’s an ultra-cool bar to hang out in at the hotel. But you could also jump in a cab and get to Hollywood in 20 minutes – but when the hotel is THIS good, you probably won’t want to leave. The spa at the Bel Air is like a little dose of heaven. Using La Prairie I had a full body massage that eased away every work-induced knot and anxiety with expertise, and then chilled for an hour, herbal tea in hand, in the relaxation area. Absolute bliss. 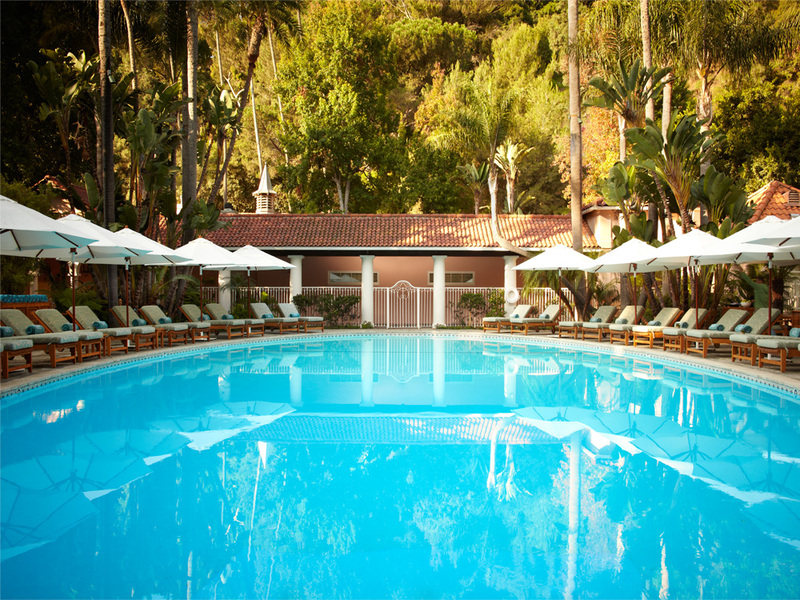 There’s also an incredible outdoor pool, made famous for being the last place Marilyn Monroe was ever shot for a magazine (she lived at the Bel Air for 10 years in fact).